Will Windows Blue bring back the famous Start button? This hands-on video from The Verge explores some of the new features in Windows Blue, including significant improvements to the user interface. The Microsoft Windows 8 operating system is attempting to bring together mobile devices and the desktop. It’s not an easy task, and the results so far have been mixed. Microsoft, however, is pushing forward and preparing to release a beta version of the rumored update, code-named Windows Blue, at their annual Build Conference later this month. In March, they acknowledged the coming release, and since then, a series of leaks and rumors has given the tech community a strong idea of what to expect in Windows 8.1. When users are on the Start Screen or inside of a Metro-Style/Windows Store app, according to my source, the new Start Button won't be visible. It only will become visible if/when a user moves the mouse to the bottom left corner. Instead of seeing the thumbnail of apps that Windows 8 users see when the mouse over the left corner, they'll supposedly see the new Start Button instead. Additionally, rumors suggest that users will have the option to boot straight to the desktop, skipping the tiled Start screen altogether. 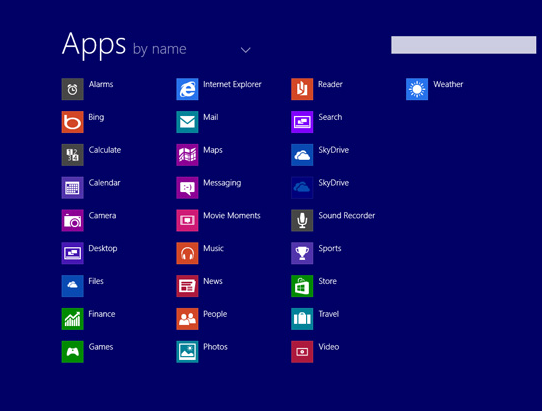 In the first release of Windows 8, users were introduced to the Windows Store, which allows them to easily search, download and manage their applications, much like users of Apple’s Mac App Store. As of May, the Windows Store carried 80,302 applications, nearly all built by third parties. Additional built-in apps are also available, including an Alarms app that lets you set recurring alarms, and a sound recorder to quickly record audio with a microphone. Microsoft is also building a Windows 8-style calculator that includes scientific modes and an option to convert weight, temperature, volume, and more. The final and fourth application is Movie Moments which appears to be a Windows Movie Maker replacement. Changes include tabs being moved to the bottom with unlimited tabs and subfolders for favorites. Website owners will be able to create their own Live Tiles with IE11 that can be pinned to the Start Screen with access to an RSS stream. Microsoft will also sync tabs now across Windows 8.1 and Windows Phone, meaning you'll be able to access and load up the tabs that were last used on other devices. It's very similar to Google's Chrome sync option. What are you hoping to see in Windows 8.1? Let us know in the Comments section.